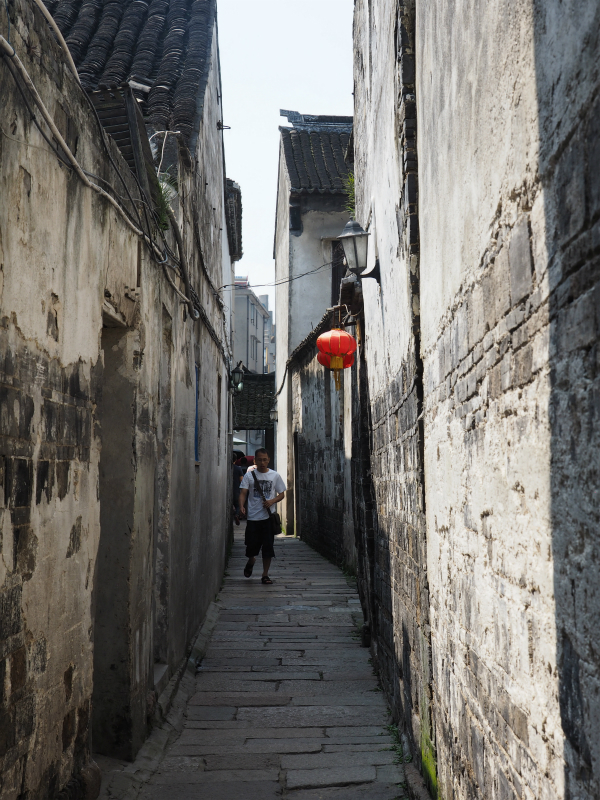 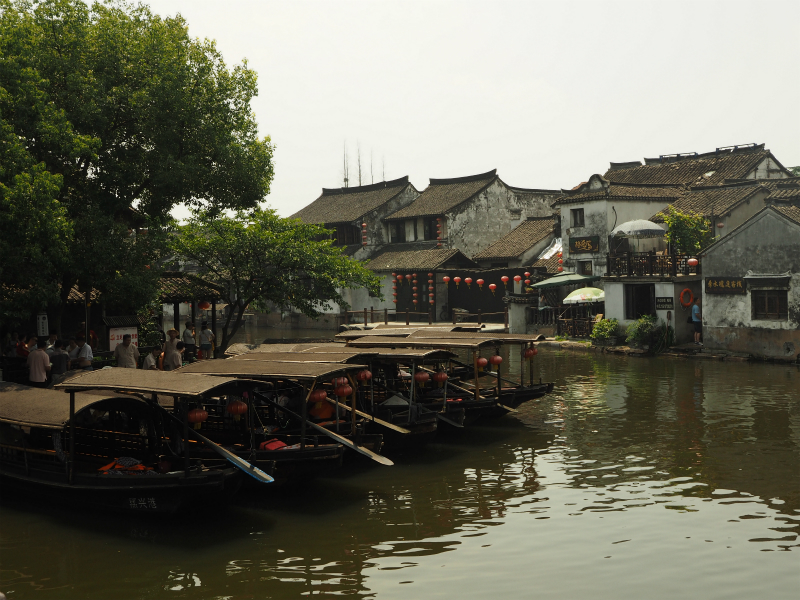 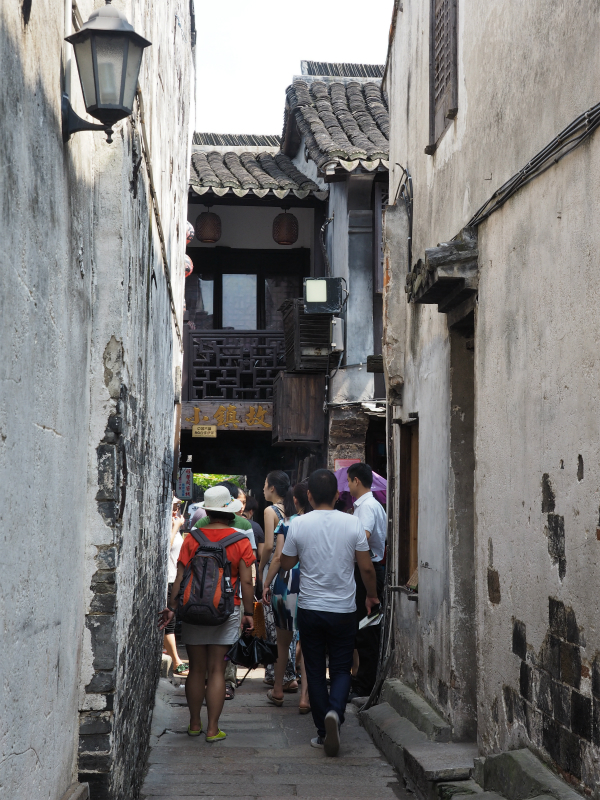 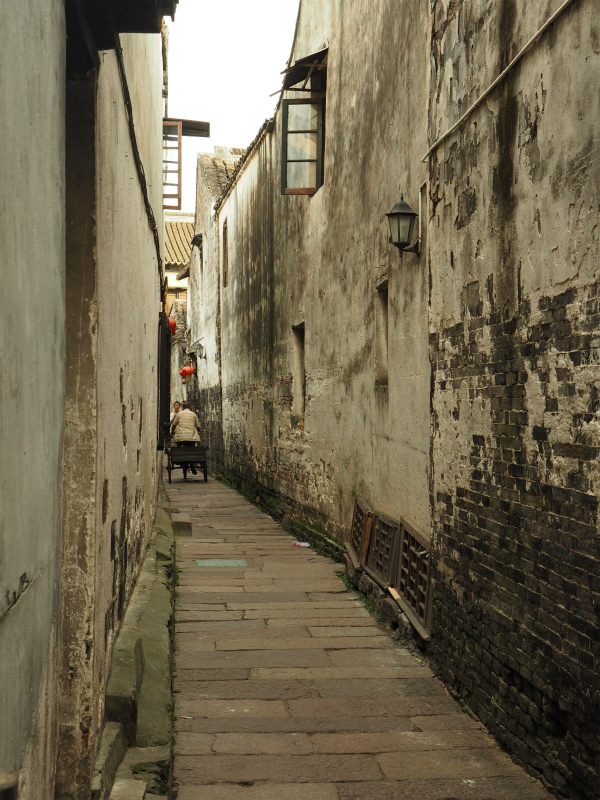 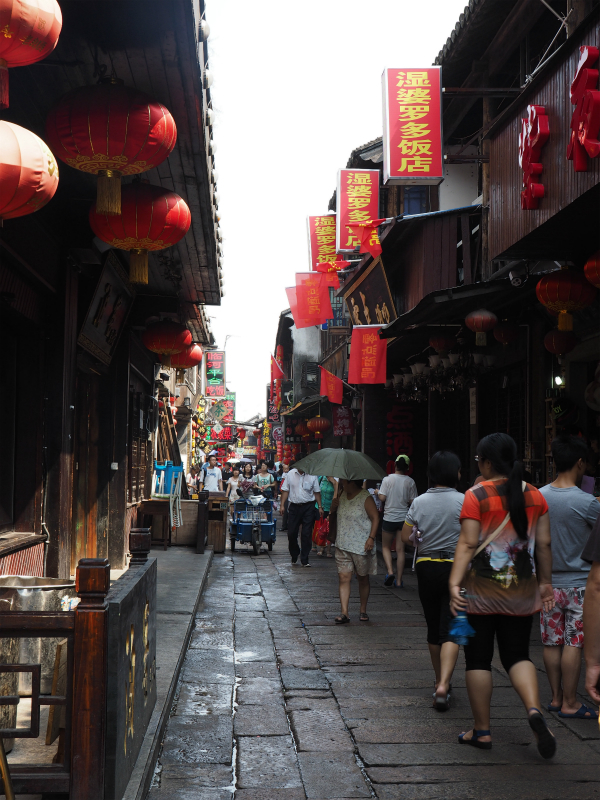 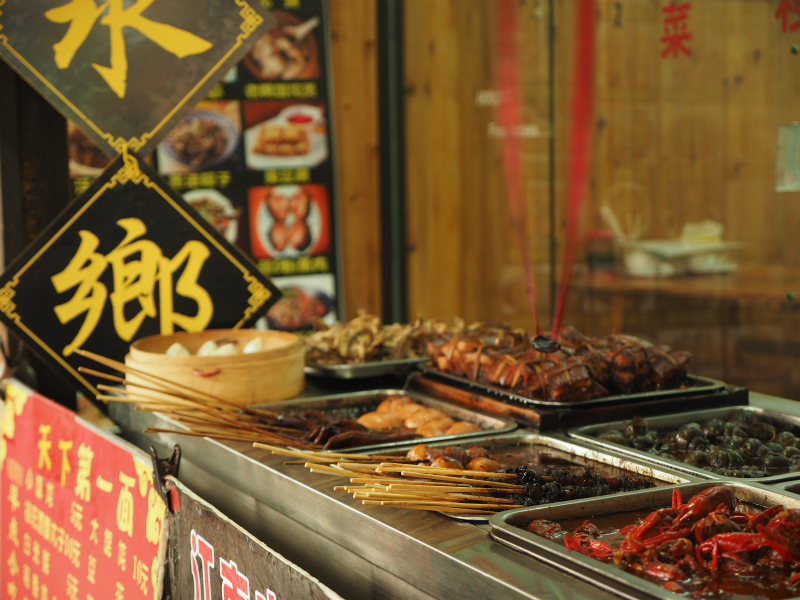 Xitang is a famous town with thousands of years of history, lying in Jiashan County in Jiaxing City, Zhejiang Province. 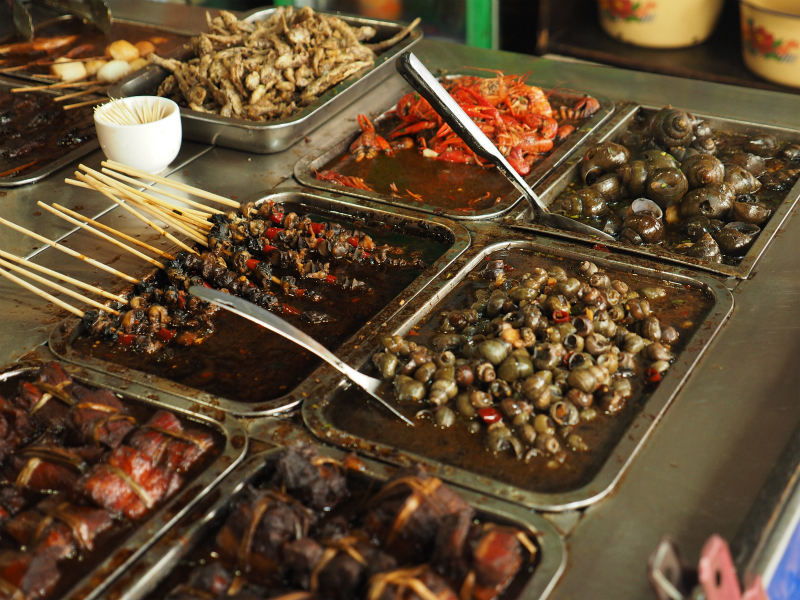 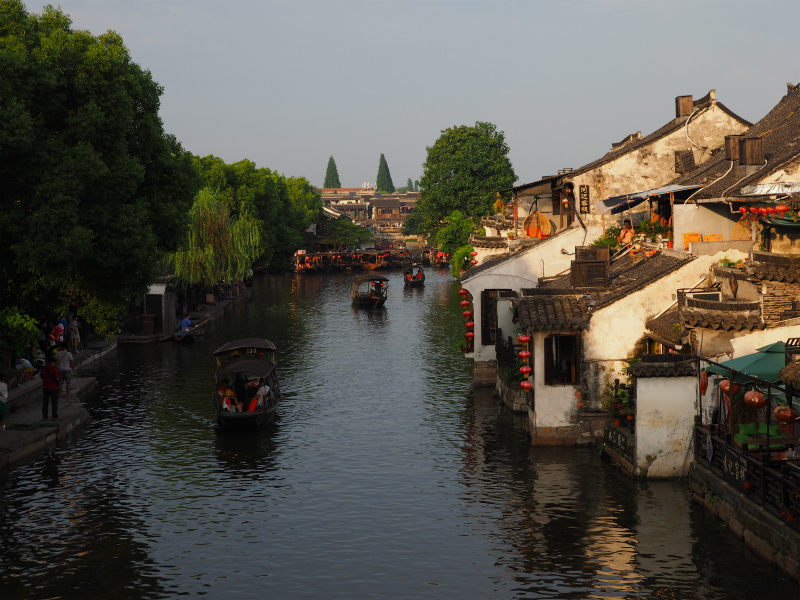 It dates back to the Spring and Autumn Period (770 BC-476 BC) and the Warring States Period (476 BC-221 BC). 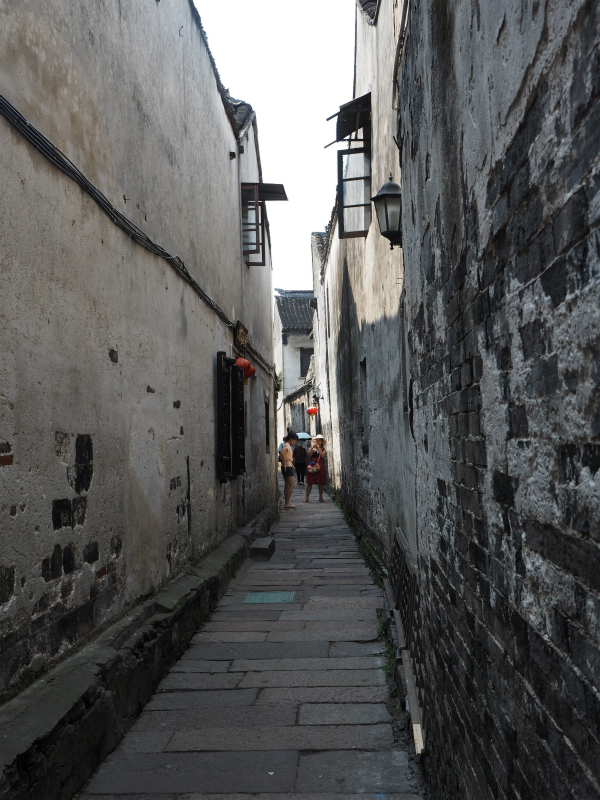 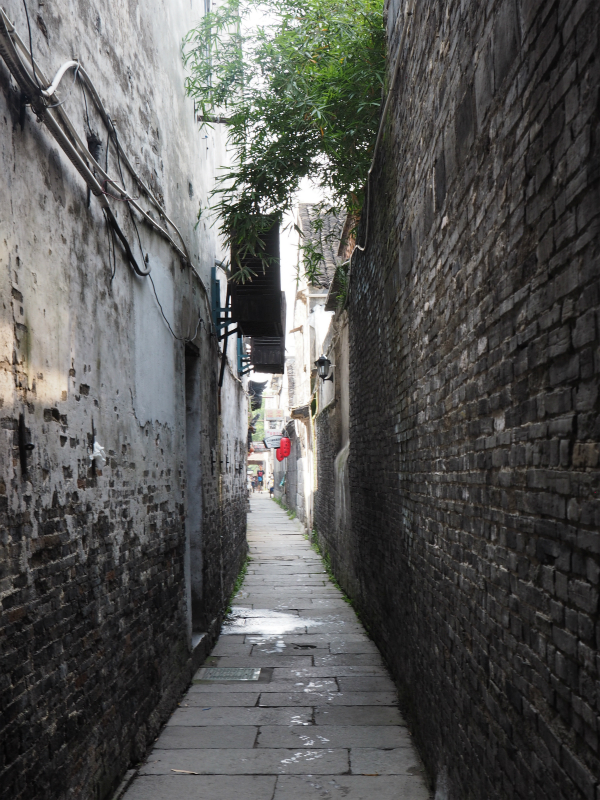 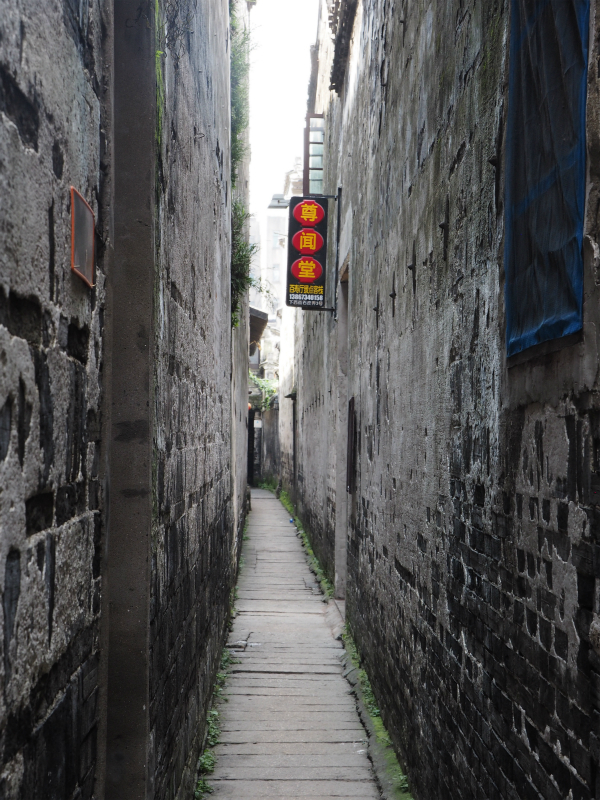 The town was a place of strategic importance on the boundary of the Wu and Yue states. 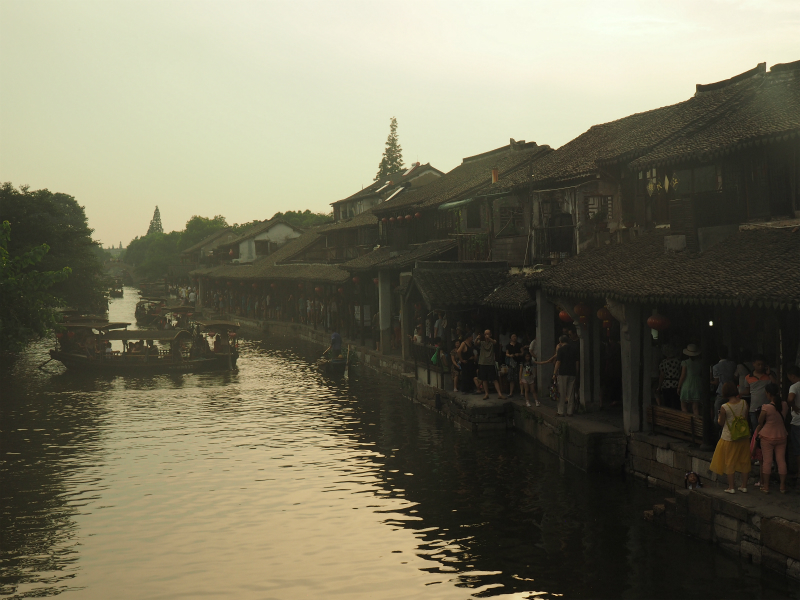 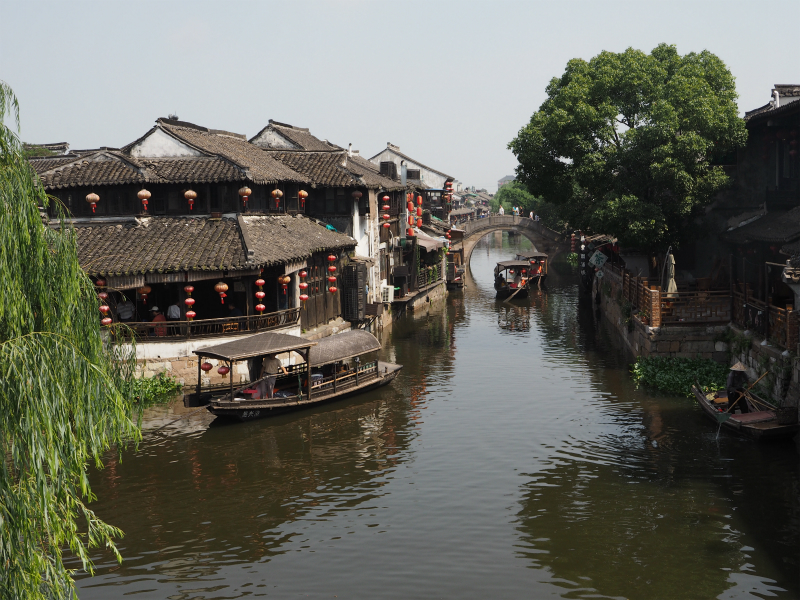 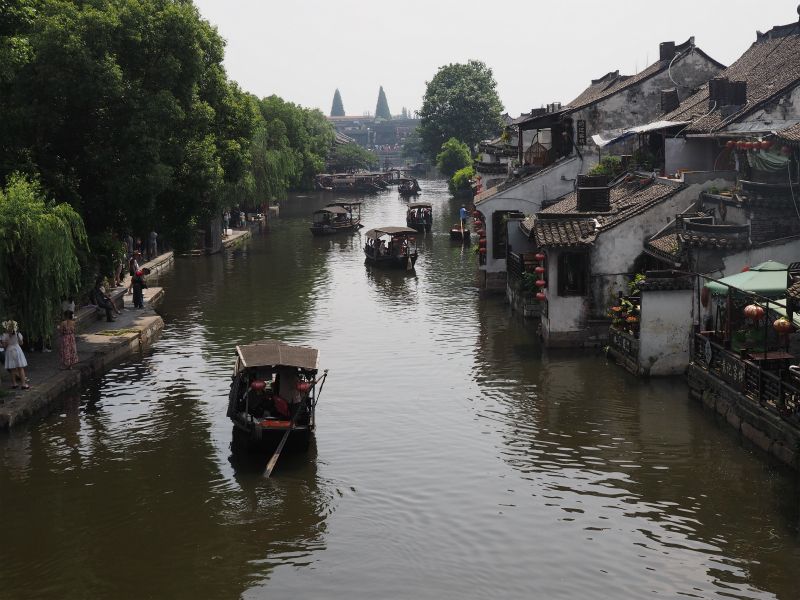 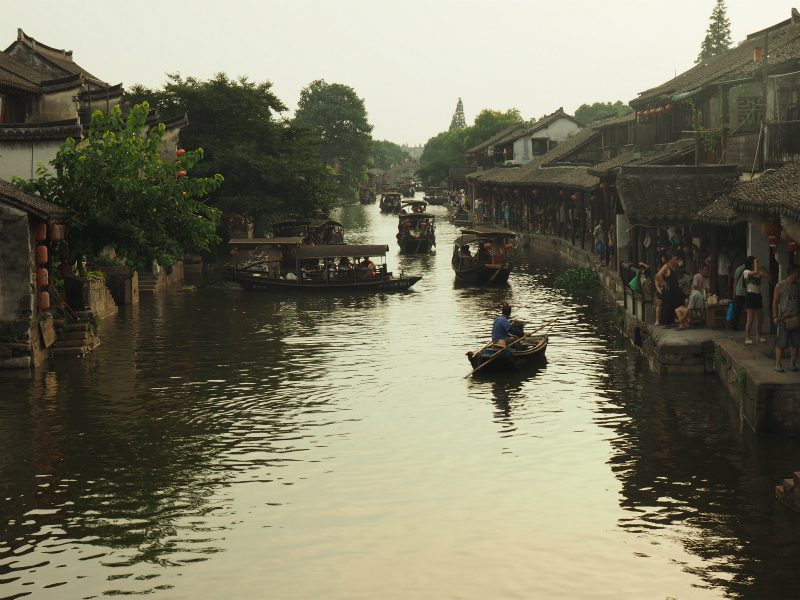 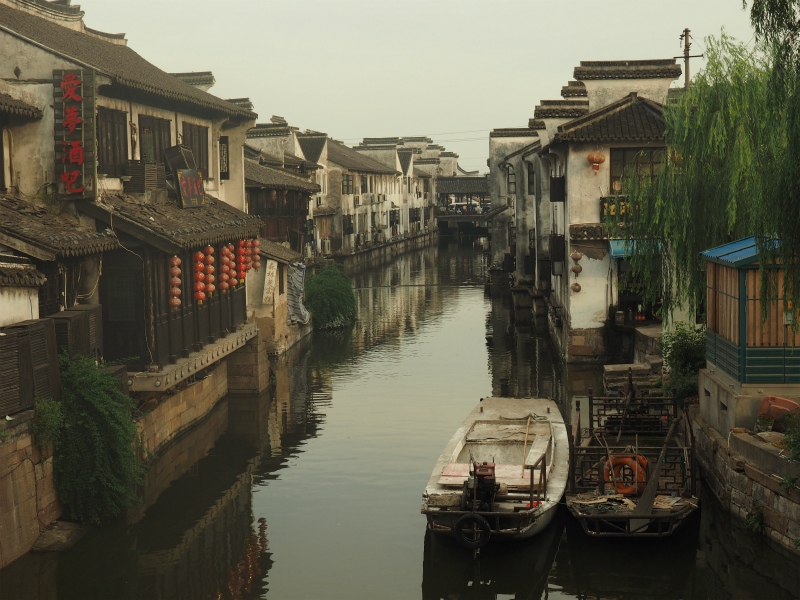 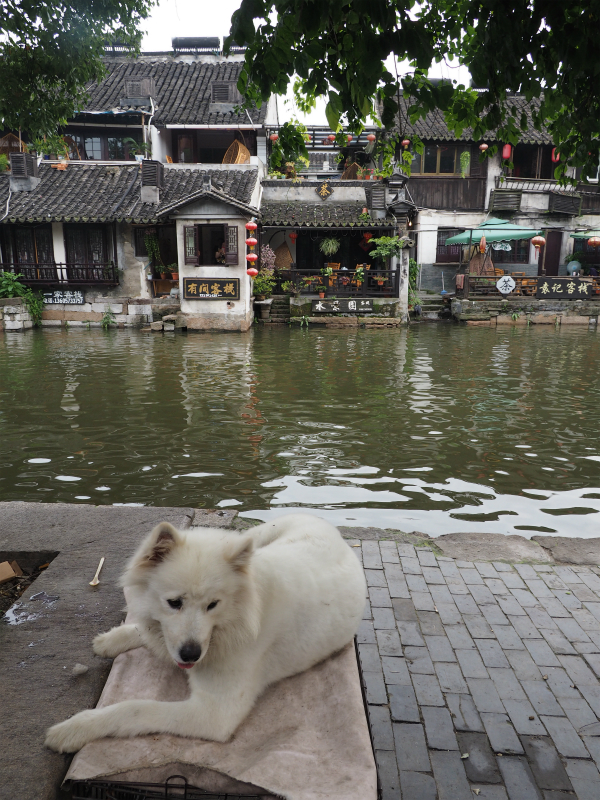 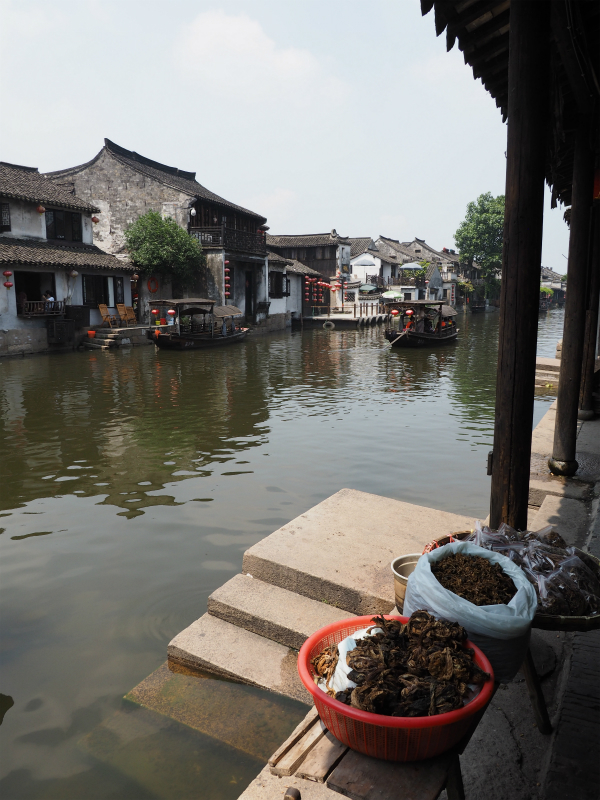 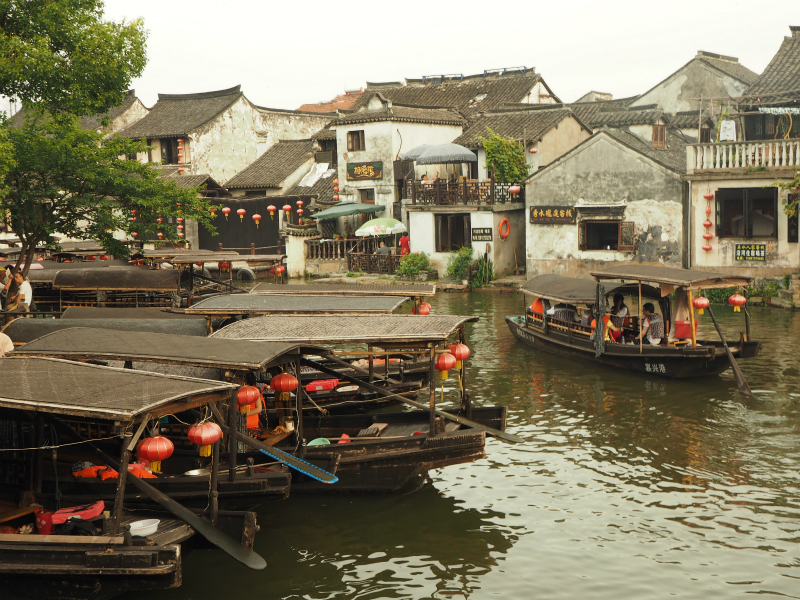 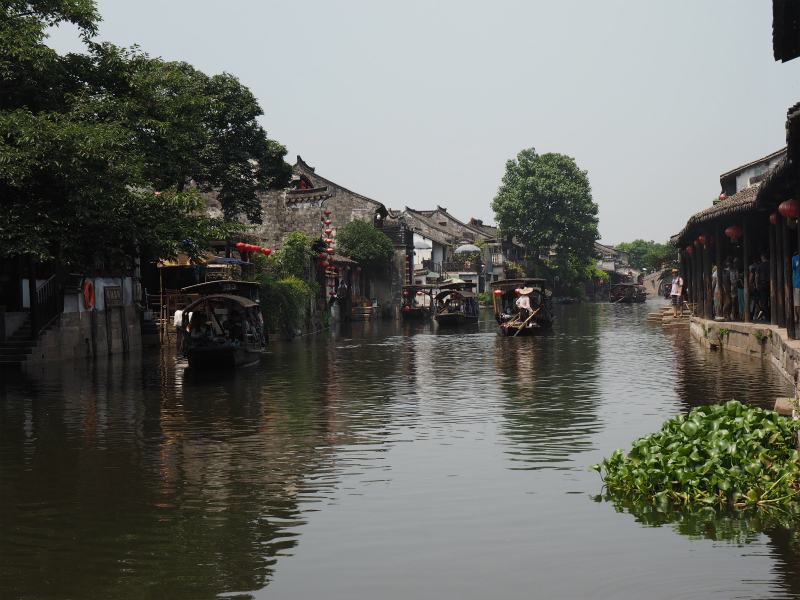 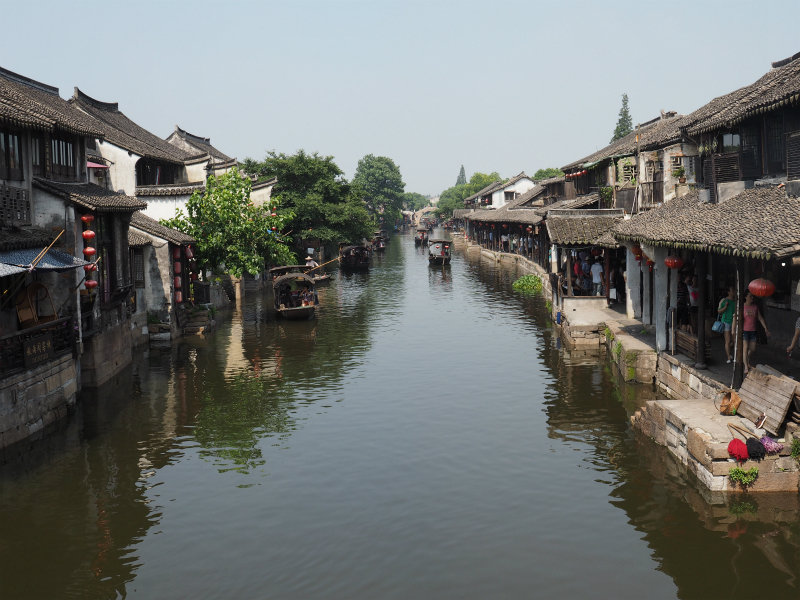 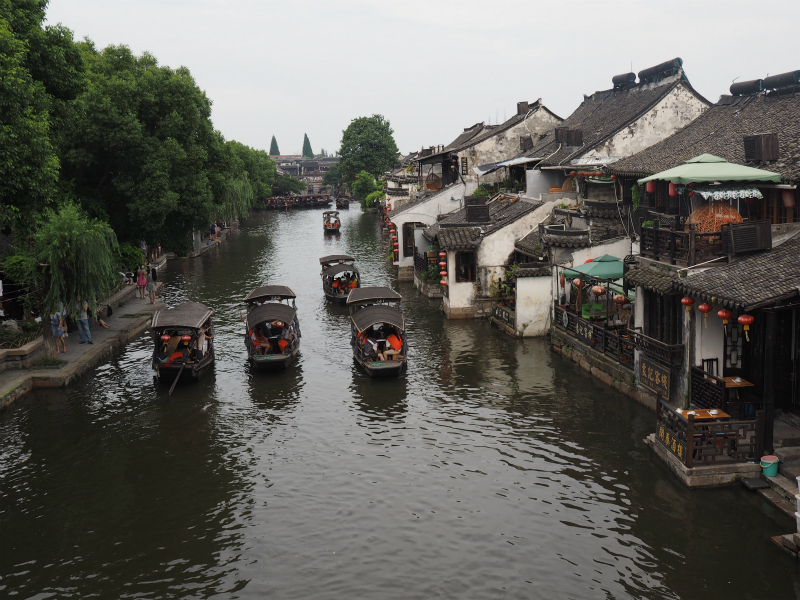 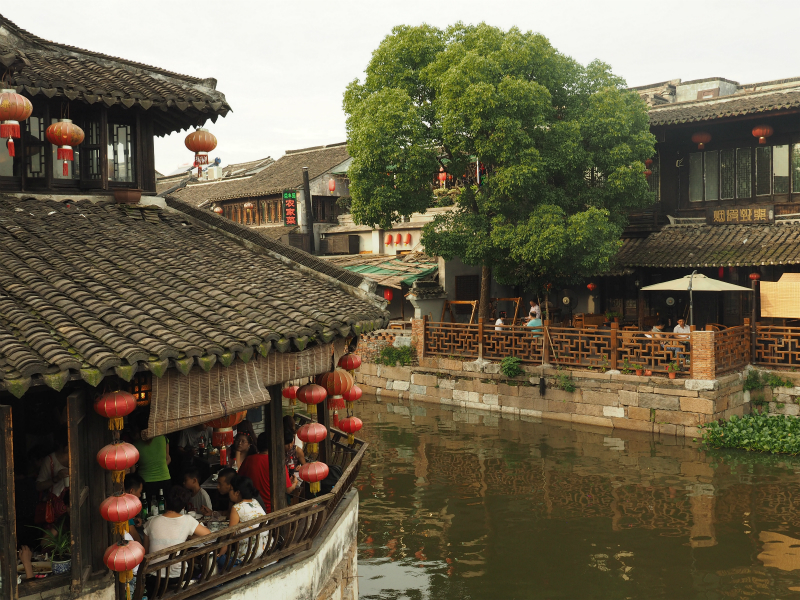 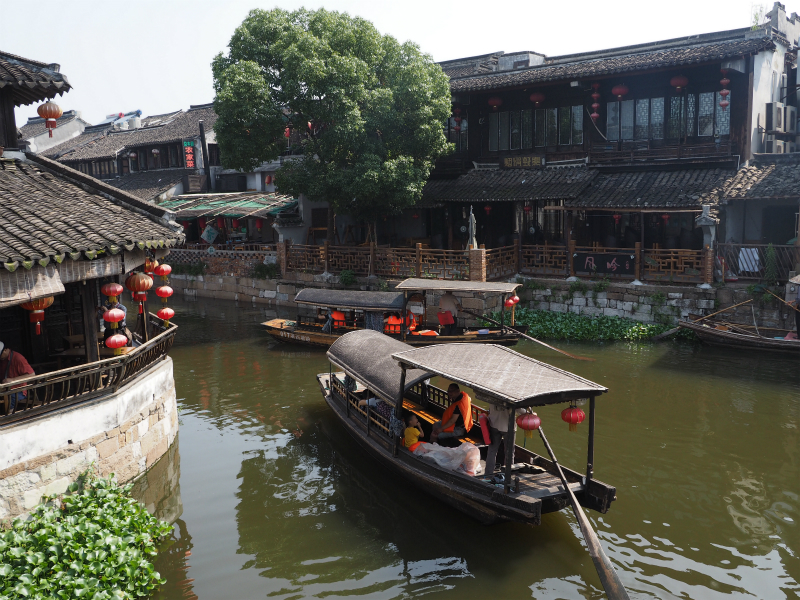 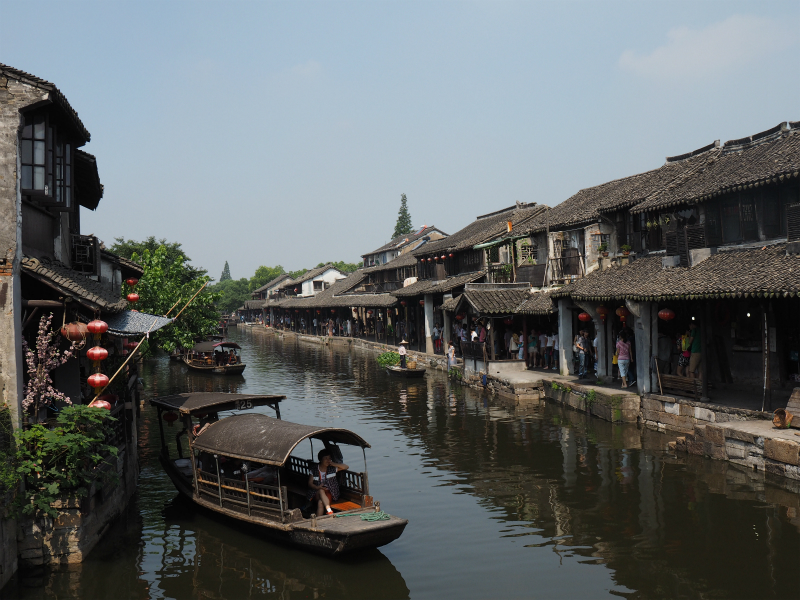 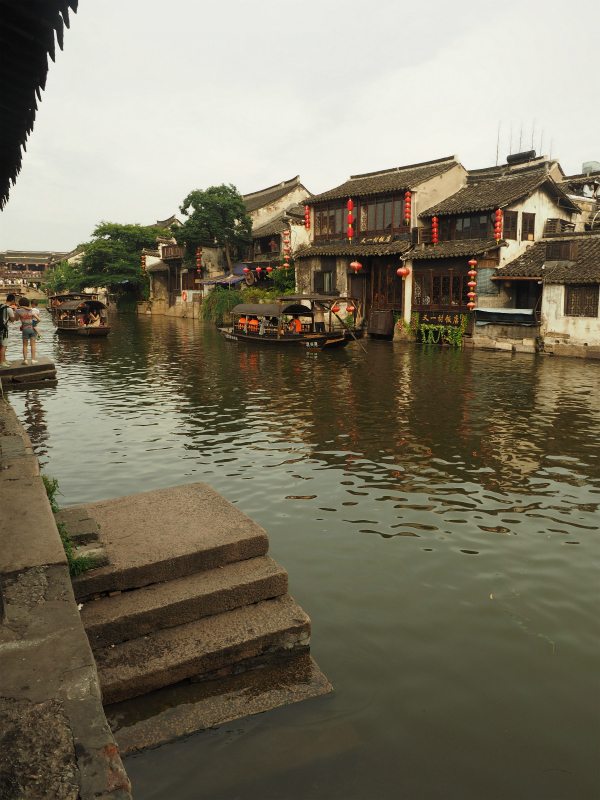 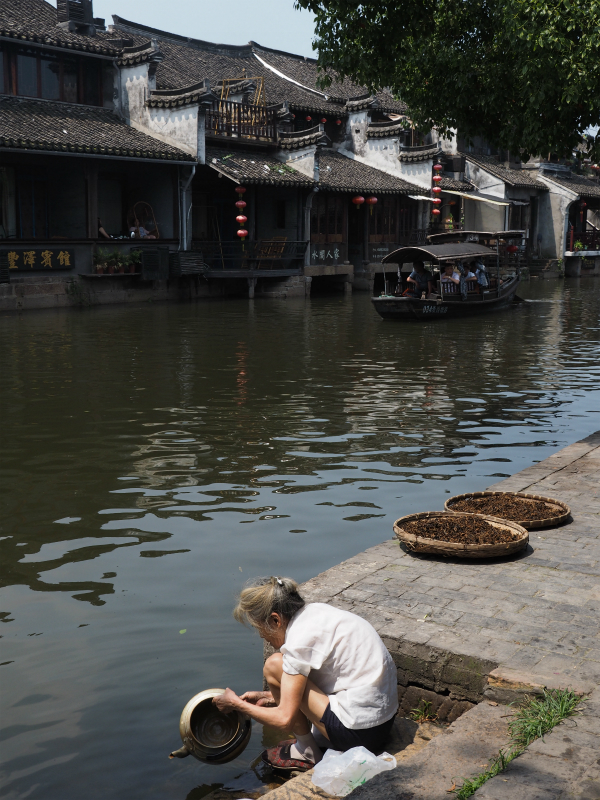 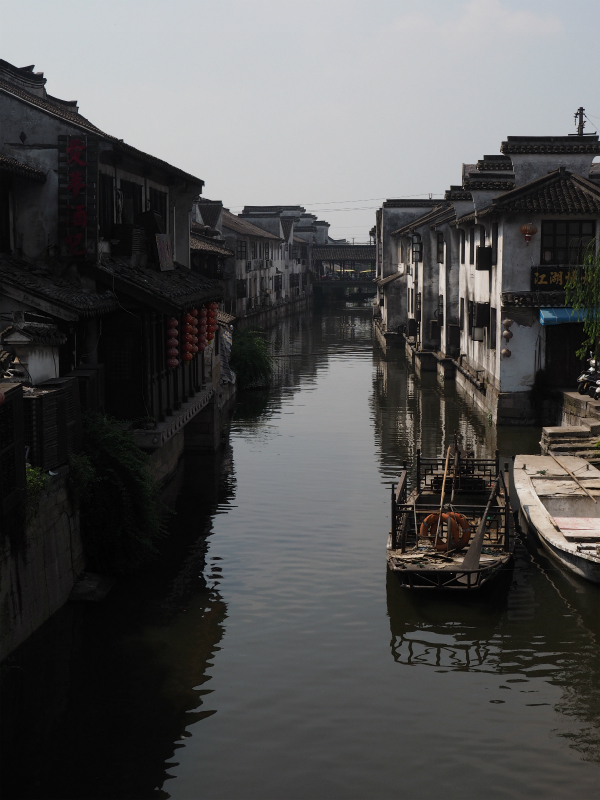 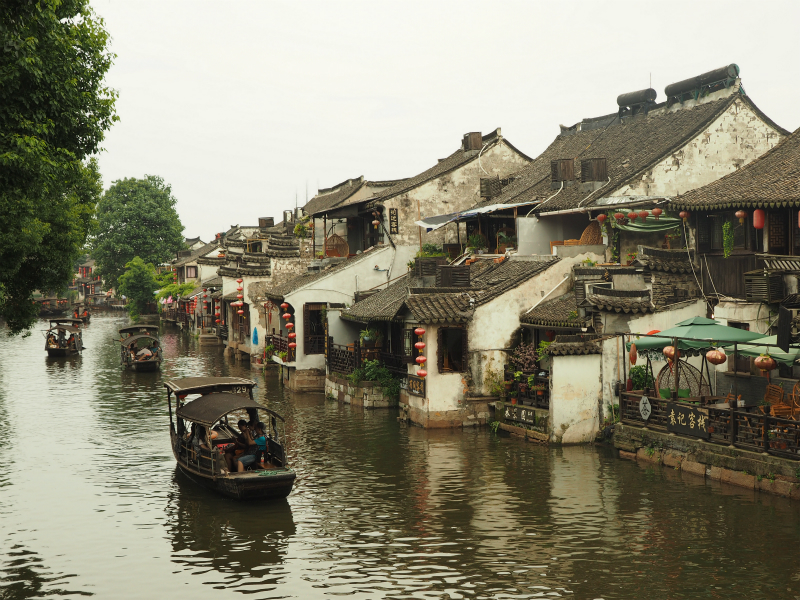 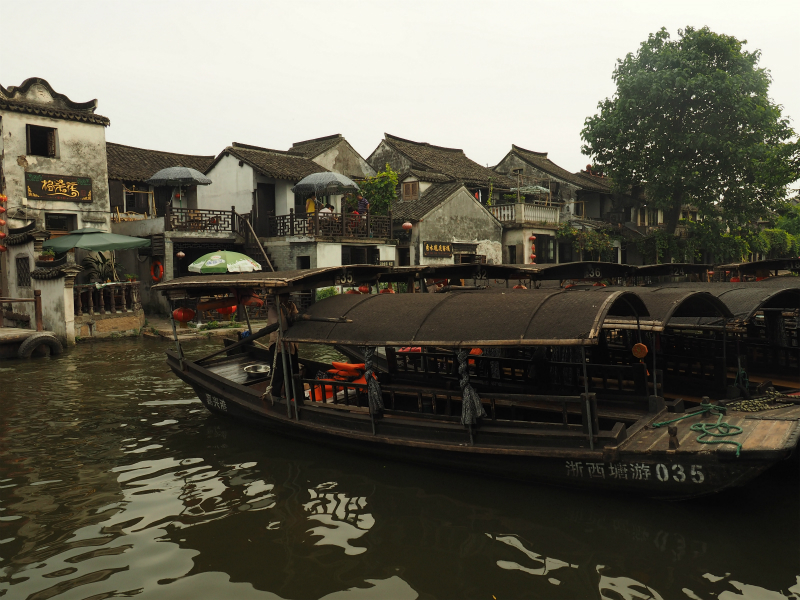 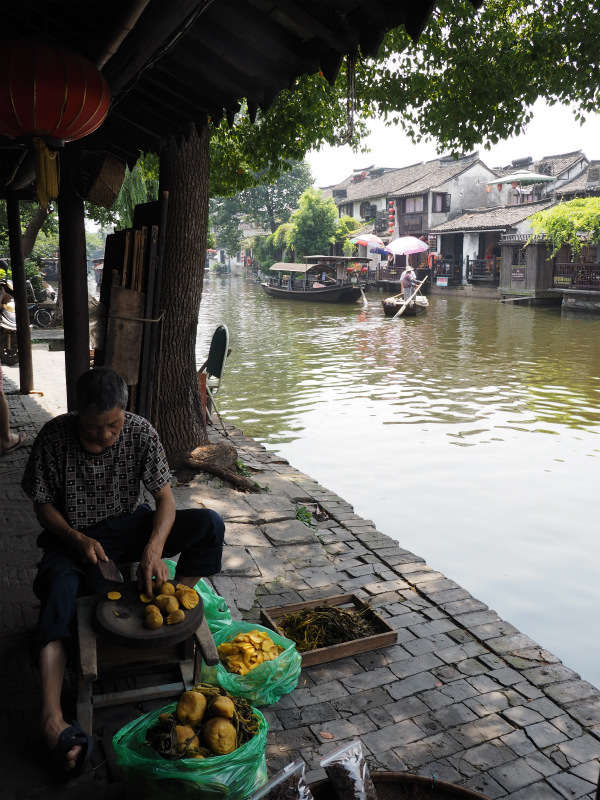 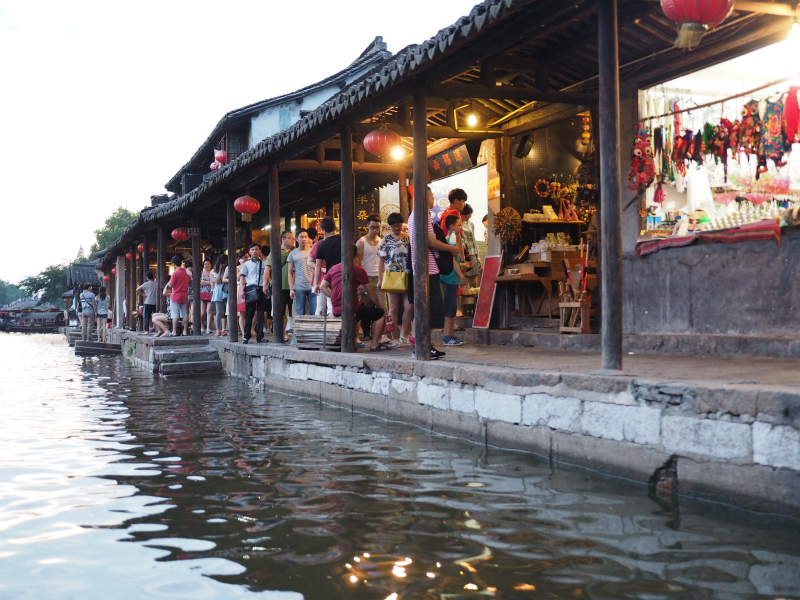 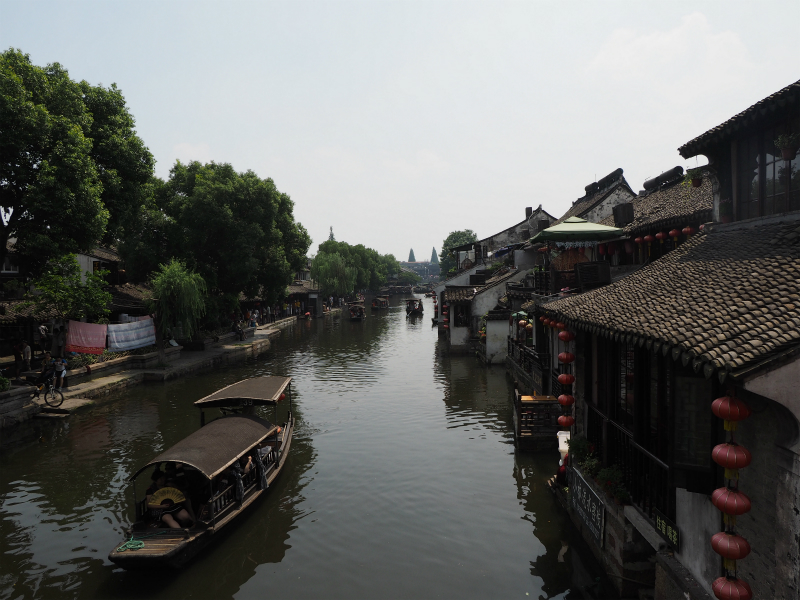 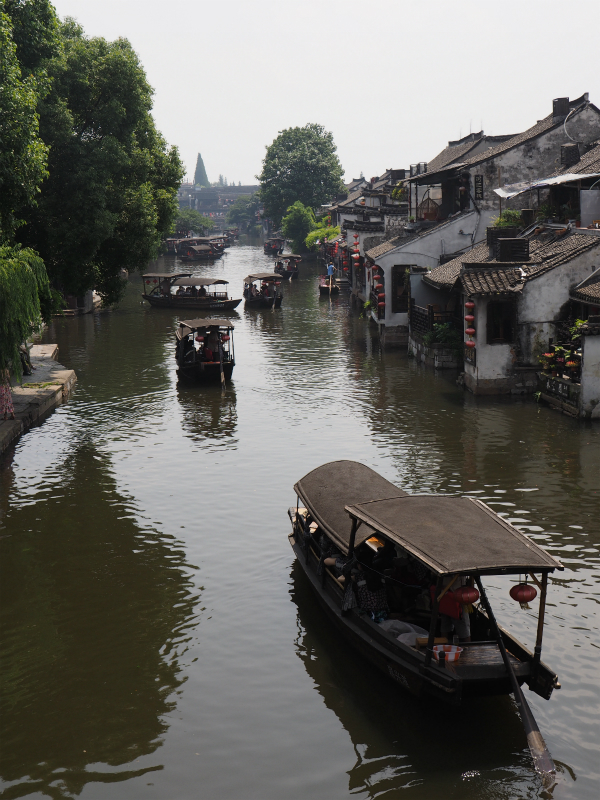 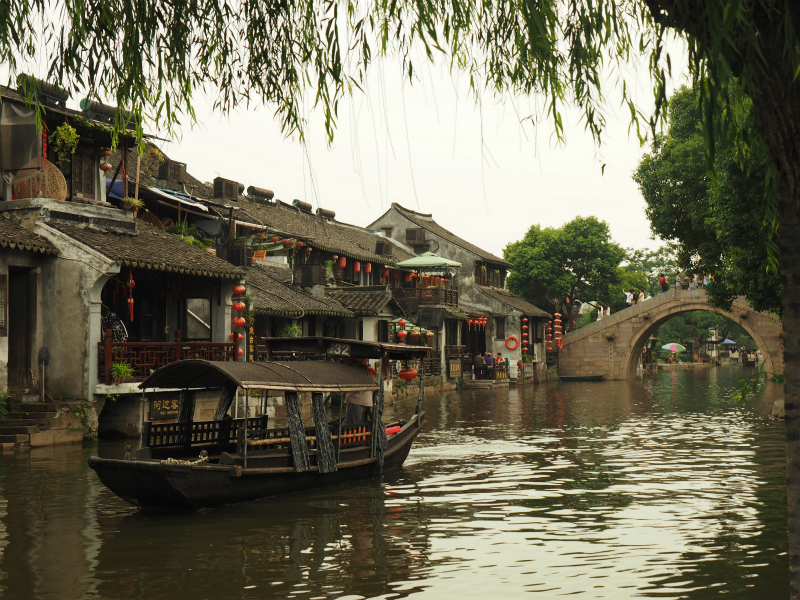 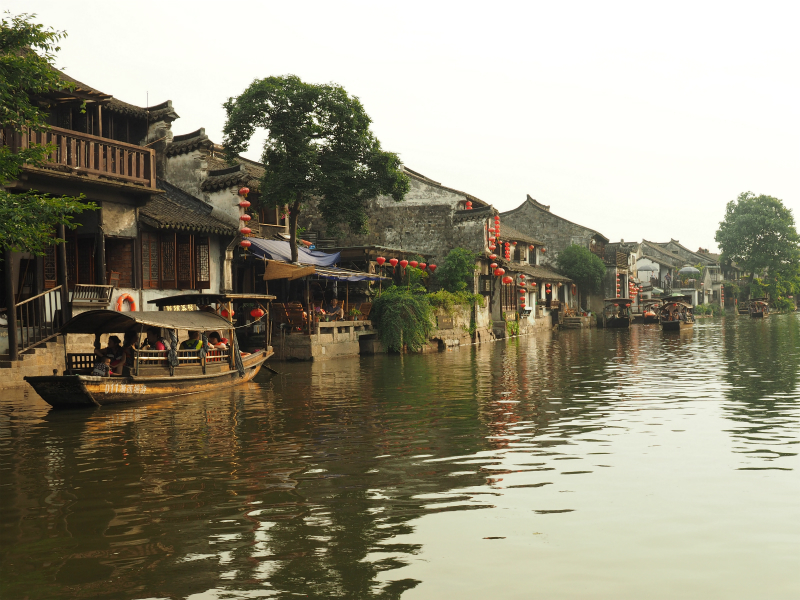 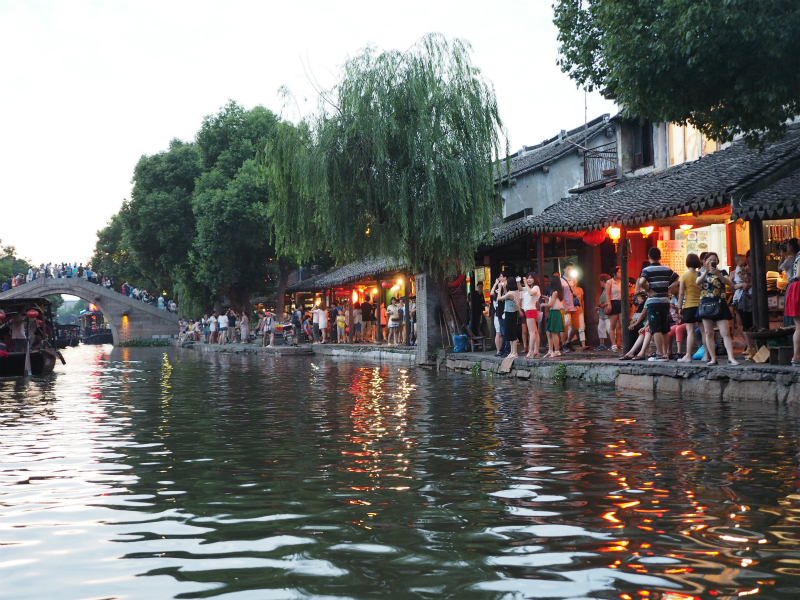 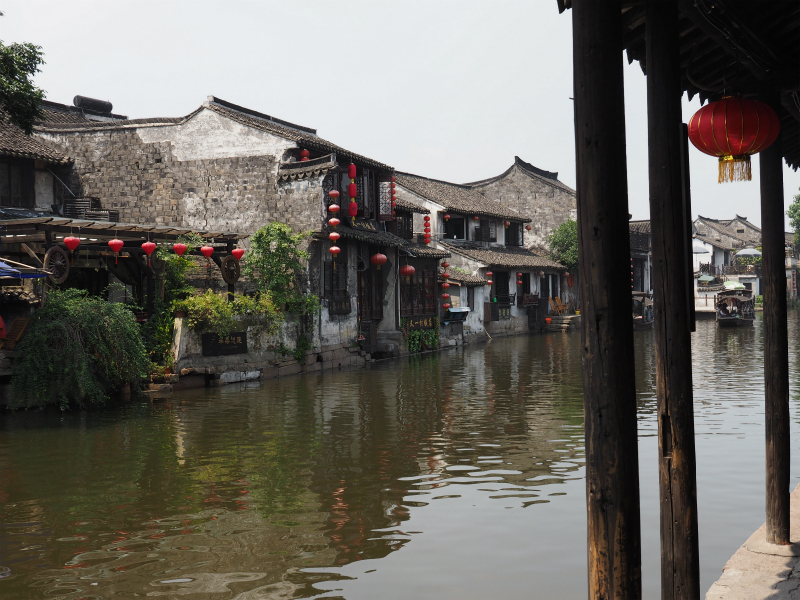 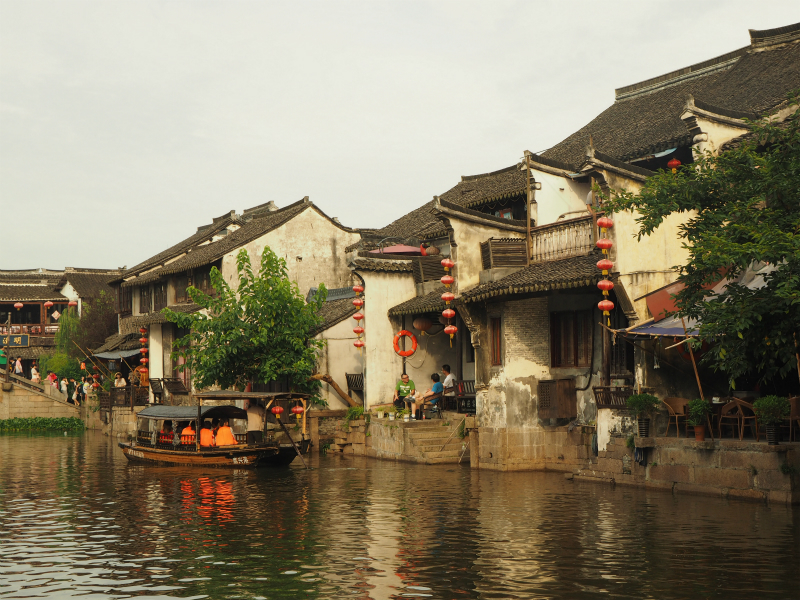 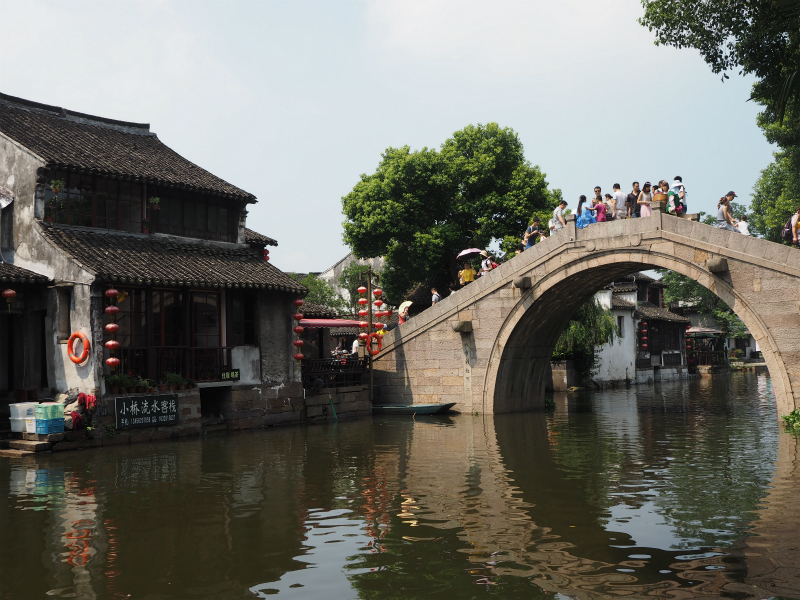 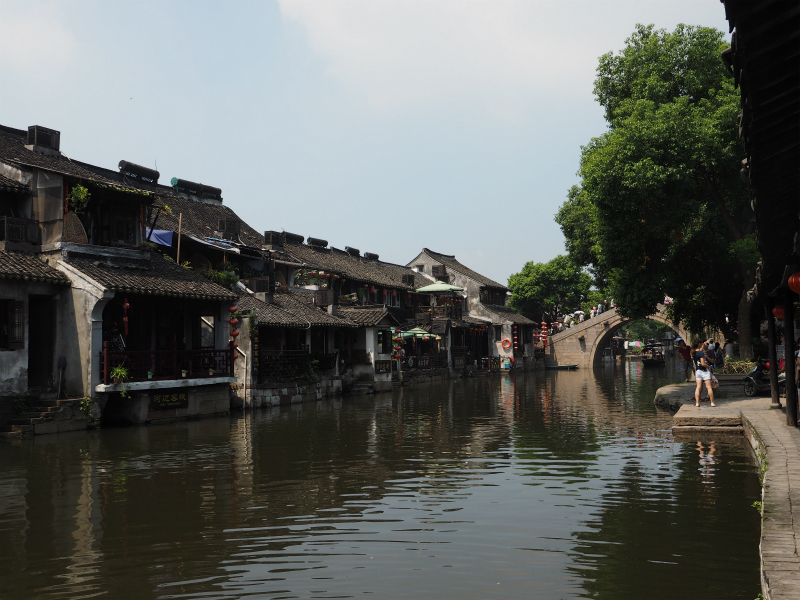 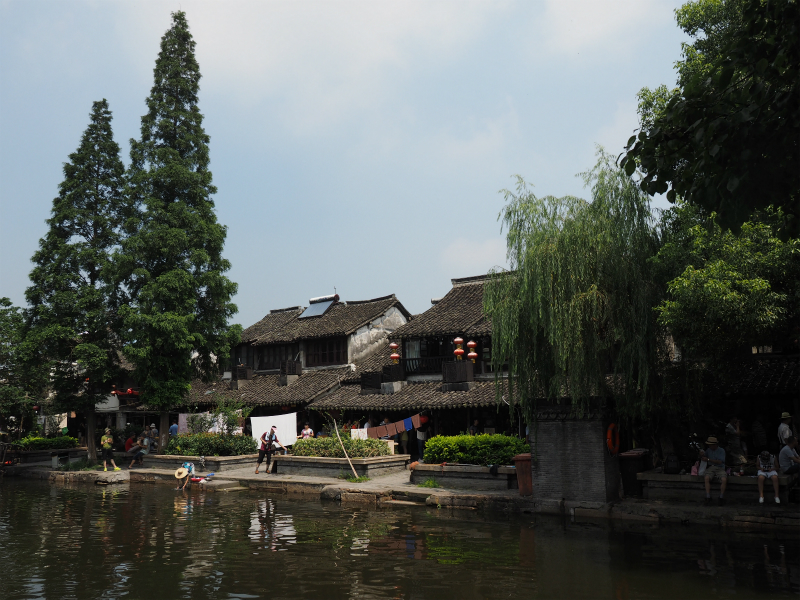 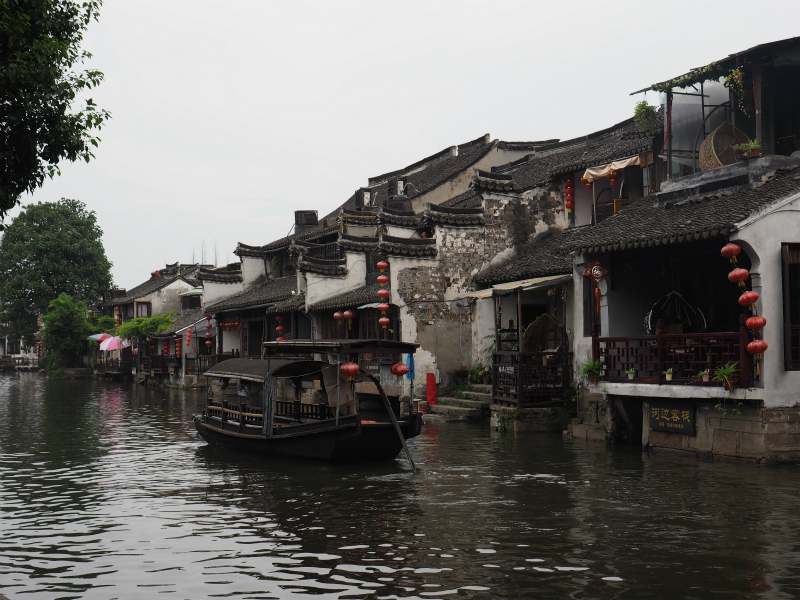 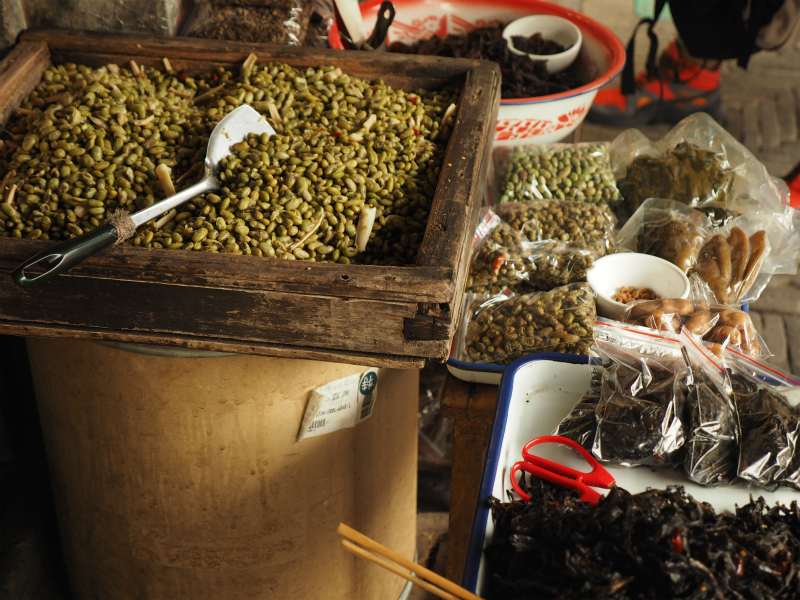 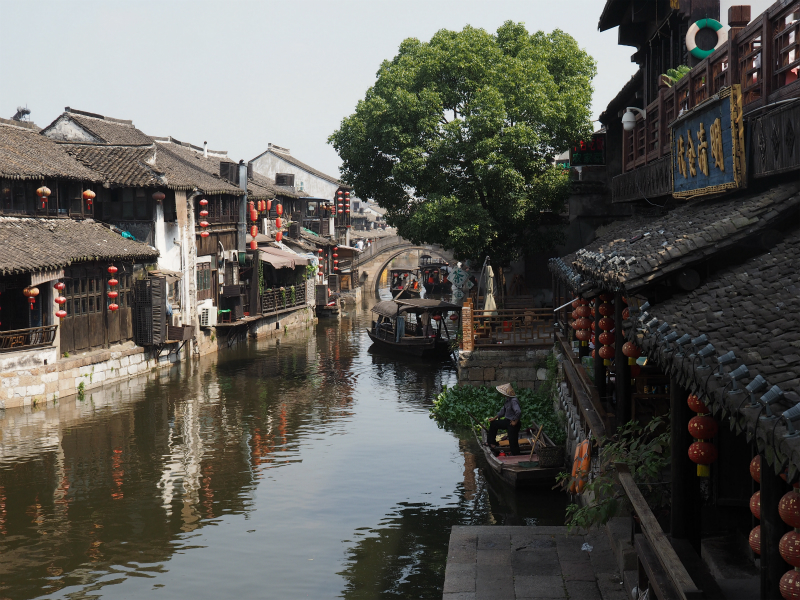 Xitang is a water town crisscrossed by nine rivers. 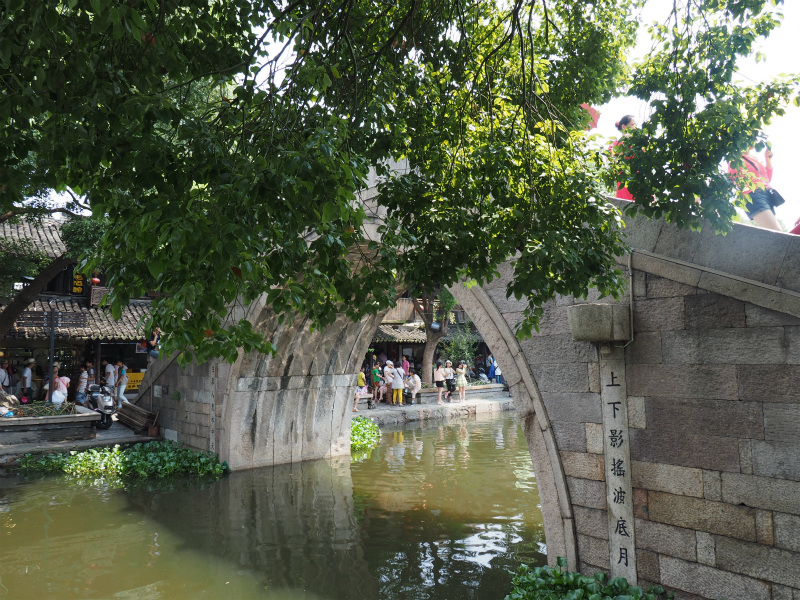 The town stretches across eight sections, linked by old-fashioned stone bridges. 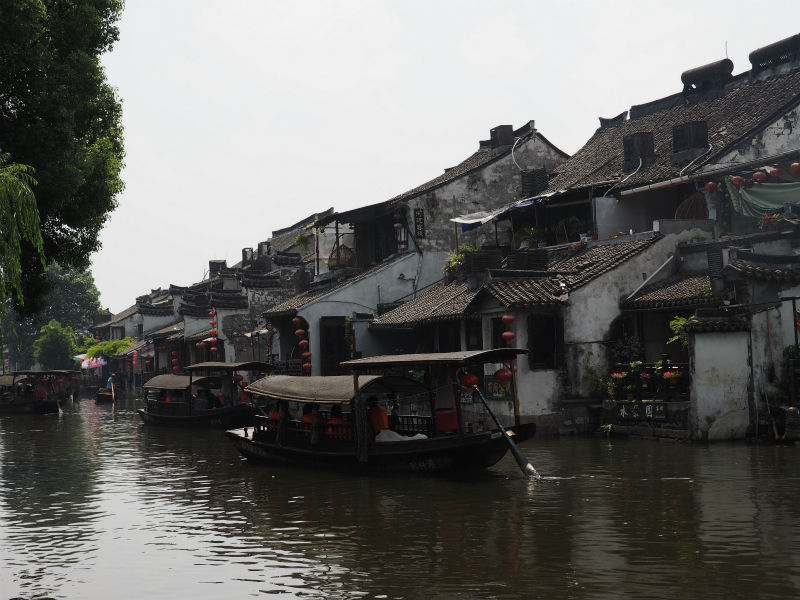 In the older parts of town, the buildings are set along the banks of the canals, which serve as the main transportation thoroughfares in the area. 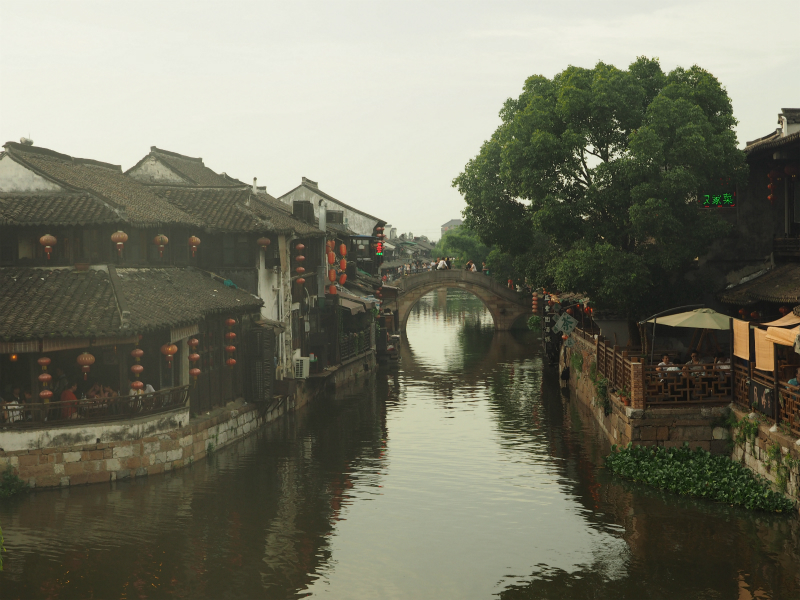 Xitang locations were featured in the final sequences of the motion picture Mission: Impossible III. 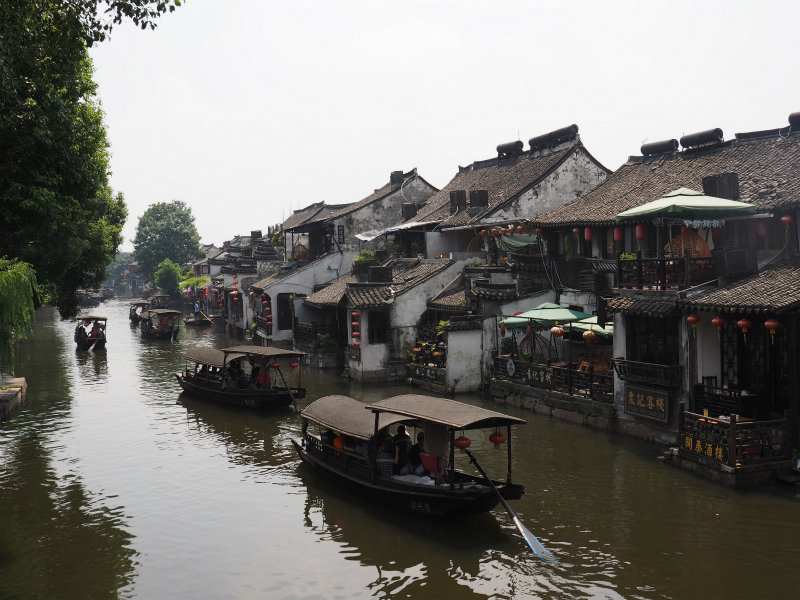 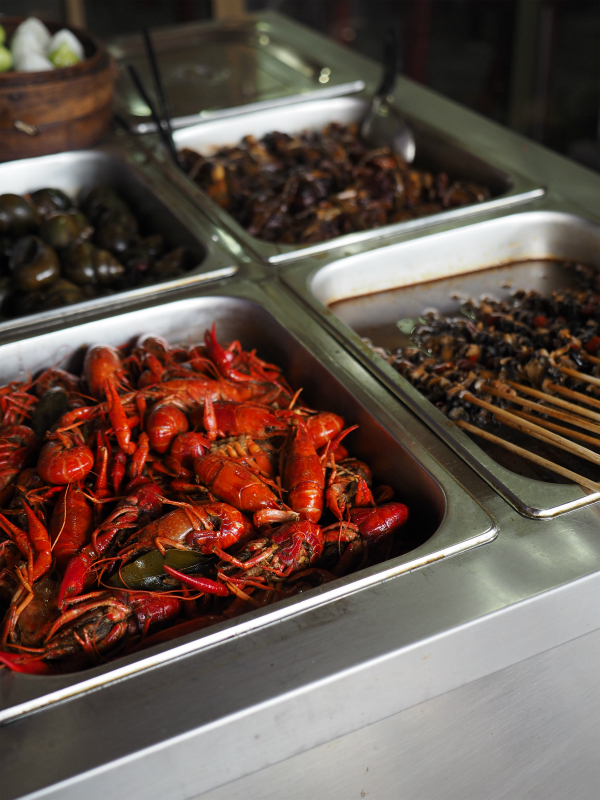 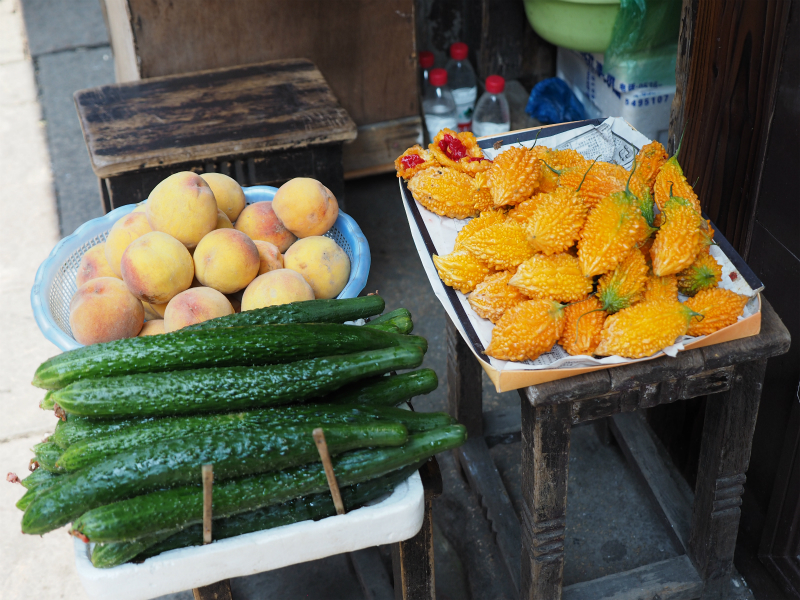 Xitang, Jiashan County, Zhejiang Province, China.